Combining five of our most powerful muscle builders and fat burning formulas for fast acting results. Ultimate Physique Stack, supports your body’s natural growth and testosterone production to help you lose fat, build muscle and improve your performance. 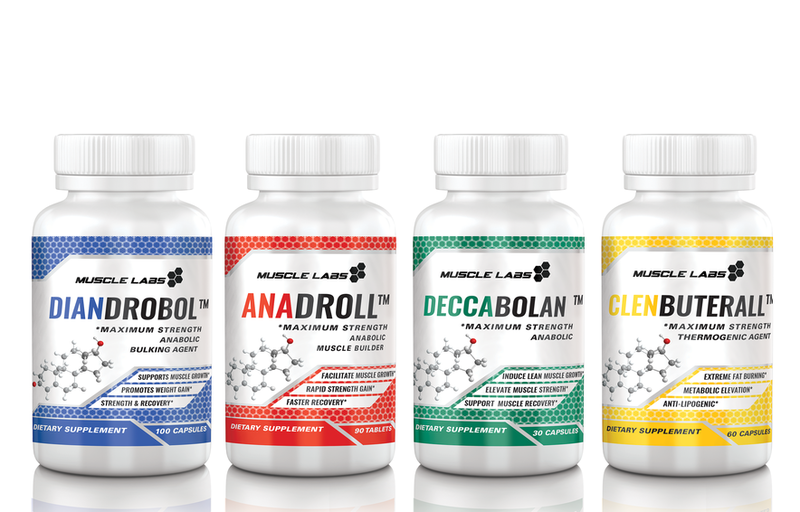 Warning: Expect amazing results with the Muscle Labs USA Ultimate Physique Stack! A quality muscle supplement. Deca, designed to improve your performance during your workouts. While enhanced strength and muscle gains. Diandrobol, a powerful bulking/muscle building supplement designed to help boost your muscle growth. Packed with ingredients helping support your post workout recovery and muscle growth, Diandrobol, the ideal supplement to support your high intensity training routines and bulking phases. Low testosterone levels can have a negative impact on your bodybuilding efforts. While, Anadroll aims to support and maintain your natural testosterone levels. Also helping improve your performance, strength and muscle gains. Furthermore, Anadroll can help you experience the full benefits of your training. Pre workout supplement Clenbuterall. While designed to help you lose body fat while retaining your lean muscle gains. Furthermore, Clenbuterall can help provide you with the energy you need to intensify your workouts. Also boosting your body’s fat burning process.